For a decade now, we've been living the dream. Not like it’s a big deal or anything, but today we turn 10 years old! 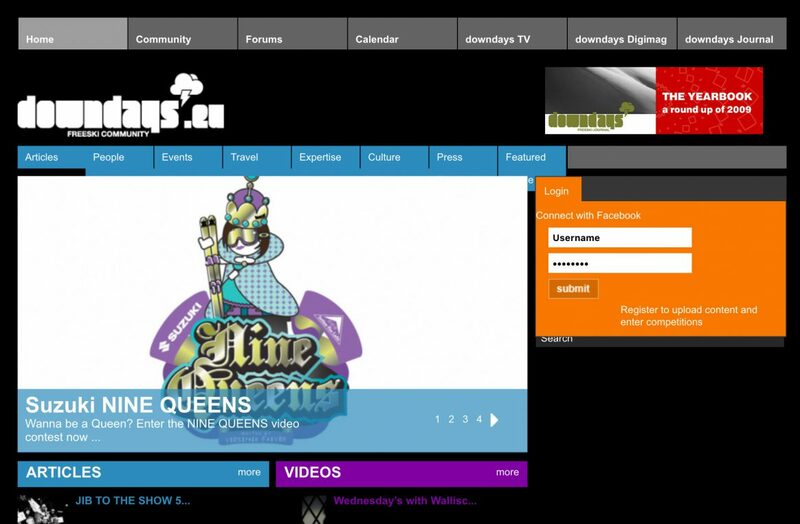 On 11-11-2008, Downdays.eu went online. Our questionable but functional first tag line: “Skiing’s Europinion.” The brainchild of four friends crazy about freeskiing, the goal of Downdays was to provide a pan-European platform for the sport— a unified front for freeskiing in Europe. Ten years later, we’re still working hard to fill that role. I first met the Downdays guys—before they were Downdays guys—in 2006. I needed to get from Munich to the Spring Sessions in Kaunertal, and somehow I convinced the editor of Germany’s Skiing magazine, Klaus Polzer, to give me a ride. Once there, I found a room with the help of some new ski homies, rode together with future Downdays TV boss Sean Balmer, then convinced top German freeski pro Nico Zacek to give me a ride back home, even though his tiny branded Suzuki was already stuffed to the gills with equipment. Austrian OG Martin Misof puts on a show at the 2006 Kaunertal Spring Sessions, my first exposure to the European freeski scene. Those early days bumming around Europe, a ski-crazed American student trying to fathom the incredible ski heartland of the Alps, were when I fell in love with European freeski culture. It was a different time: the freeski movement that was booming in North America was just beginning to catch on in Europe. It seemed like no one was skiing powder—fresh tracks for days—and anyone else on the mountain with twin tip skis was instantly your friend. This was the same community vibe that caused Polzer and Zacek, along with Austrian freeskier Christoph Thaler and British expat Ben Burnett, to found Downdays a few years later. From a run-down rented office building in Innsbruck, they began building their network—threading together the parallel trajectories of freeskiing in countries across Europe into a unified whole. Sean Balmer worked tirelessly to bring freeskiing to the people with the Downdays News show. 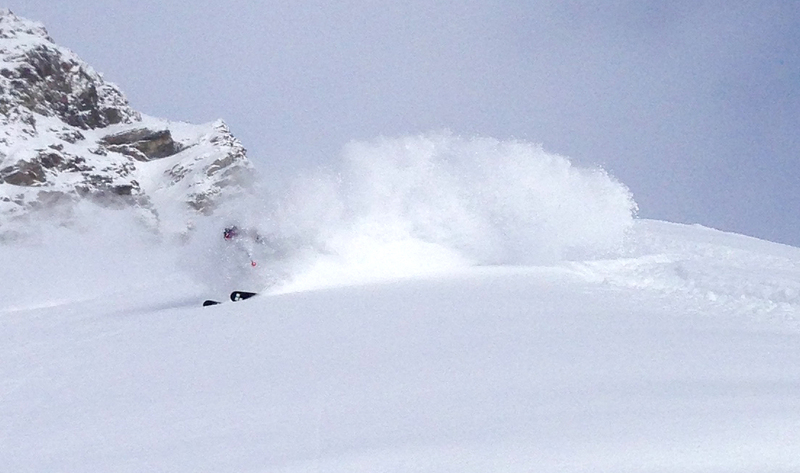 Skiing with Mark on this deep day in Les Arcs is the main reason why I'm working for Downdays today. 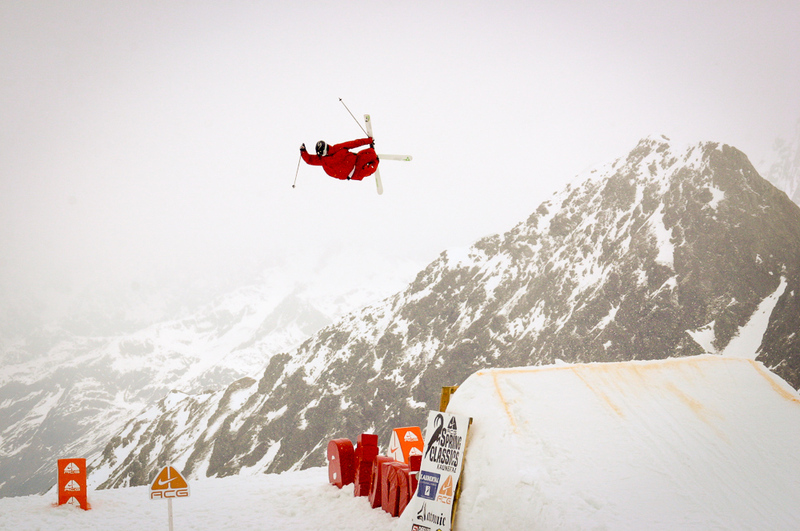 I re-encountered the Downdays crew again in 2013 in Les Arcs at the Red Bull Linecatcher event. It was dumping snow and the contest was postponed, so Mark and I went out together to explore the resort, and ended up finding some ridiculously deep powder stashes. Between overhead powder turns and freeski history discussions on the chairlift, we forged the skiers’ bond: the shared stoke about the sport that had first snared me back in 2006 in Kaunertal. The next season, I began to contribute articles to Downdays web and print — and now, here we are today. 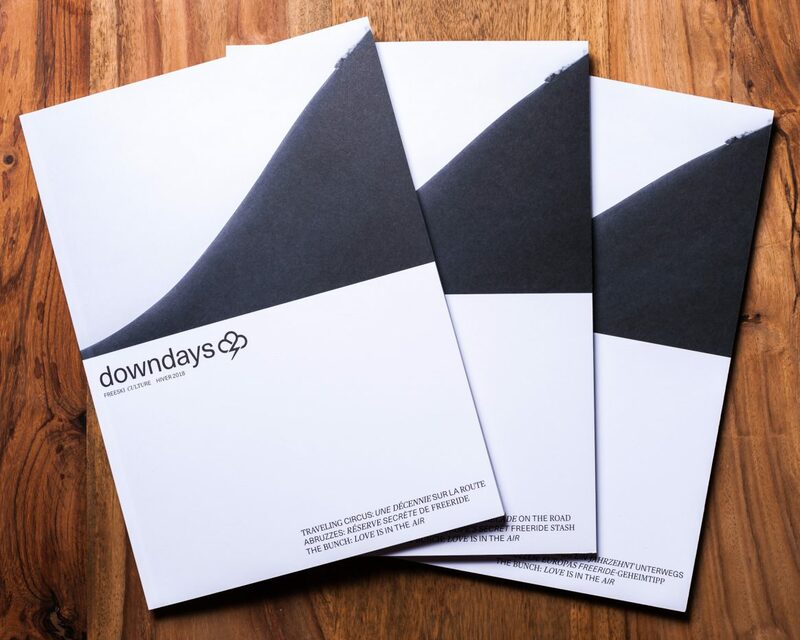 In 2018 Downdays continues to supply the European freeski scene with high-quality print and online content. Find our mag for free in a ski shop near you. From all of us at Downdays, it’s been a true honor to spread the stoke about freeskiing over the past ten years, and brighten up your down days. To read more about the changes in freeskiing over the past decade, make sure to pick up a copy of our next print issue—the “Decade of Downdays” special issue— in December in ski shops across Europe. (Use the mag finder at the bottom of this page to find one near you.) We’ll also be marking our 10th birthday online by unearthing and re-publishing some of our best magazine and online content from the past decade. Finally, we’ll celebrate the 10th-anniversary print issue of Downdays with a release party at Kater Noster in Innsbruck on December 14. Come on by to watch a few ski films, grab a drink with the Downdays team and get the latest copy of Europe’s freeski magazine! Here’s to ten more years. The French crew CBC presents the trailer for "Les Temps Changent"